Graham Chard Loader was born in Thame in 1891, the son of John Loader and Martha Helen (née Chard) and baptised at St Mary’s church on 26th October 1891. His father was a corn merchant at 18 Cornmarket, Thame. The family moved to Newport, Isle of Wight, where Graham went to the County School, before taking up a job as a bank clerk with the Capital and Counties Bank in Newport. Rifles ) Battalion in 1913. 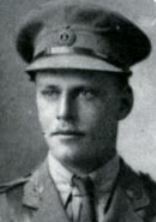 At the outbreak of war he volunteered for foreign service and then promoted to Captain on 19th June 1915. He embarked for the Dardenelles on the 29th July on board the Cunard ship Aquitania and then by smaller boats to Suvla Bay where they disembarked on 9th August. Captain Loader was hit by a bullet in the mouth, dying almost instantly. He was one of almost 300 casualties suffered by the battalion on that day. It was reported at the time that he was buried on the battlefield, but his grave was never found and must have been destroyed by ensuing fighting. 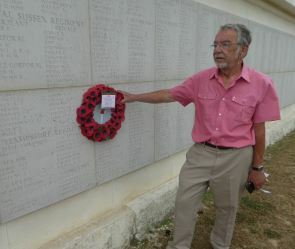 He is commemorated on the Helles Memorial, Gallipoli Peninsula, Turkey, as well as several memorials in the Isle of Wight.